The Volcae were a tribal confederation constituted before the raid of combined Gauls that invaded Macedonia c. 270 BC and fought the assembled Greeks at the Battle of Thermopylae in 279 BC. Tribes known by the name Volcae were found simultaneously in southern Gaul, Moravia, the Ebro valley of the Iberian Peninsula, and Galatia in Anatolia. 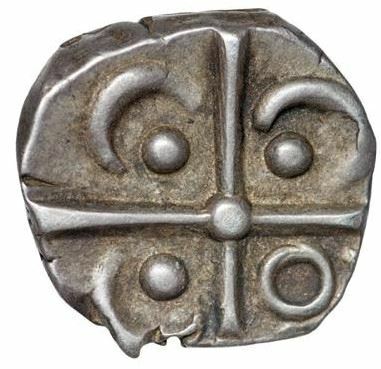 The Volcae Tectosages in Gaul struck coins with an interesting cross and pellets reverse, like other tribes of the area.